Leah's Crafty Life: New Kit Club!! WOOHOO I can finally share the news. 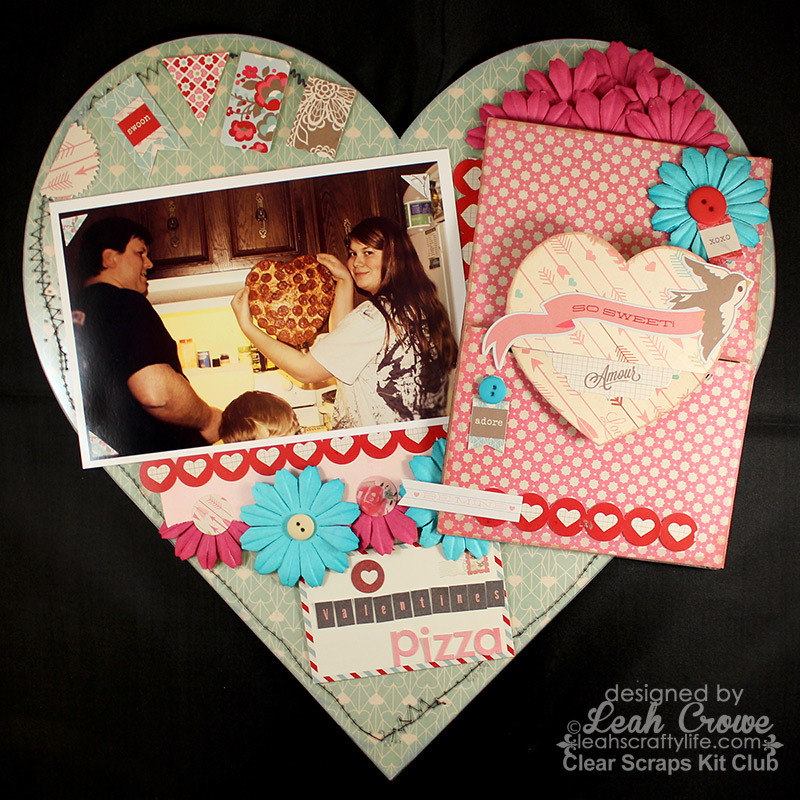 Clear Scraps has branched out, and are marketing new kits with their Creating Made Easy Kit Club!! Check them out here on Facebook and here on their blog! No more stressing about HOW to create with Clear Scraps acrylic and chipboard products.. The designers show you how. Easy step by step tutorials. Gorgeous new products. You can even sign up for autoship every month, more details here. The debut February kit is chock full of gorgeous new product! 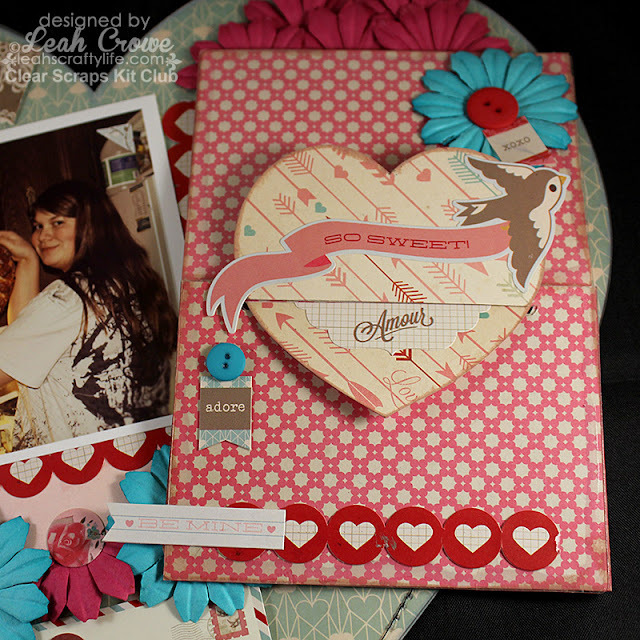 Here is a peek at the layout with full instructions that I have up on CS Creating Made Easy blog. 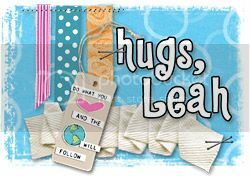 Isn't that True Love paper from Basic Grey gorg? I would LOVE if you checked out the new Kit Club FB page here AND left me some love on my Blog post today here. I really appreciate ALL your support. Ooooo...purdy! Love this, gonna have to check it out! How exciting is this!?!?!?!? I loveeeeeee it!! And love love love love your lo! That photo is ADORABLE and loveeeeeeee the the layered flowers and stitching!!! Those papers are so cute!! Love this Leah!